With the Disney-Fox deal on the horizon, Marvel Studios President Kevin Feige is free to review the undeveloped concepts for Fox-Marvel movies and draw influence from them. 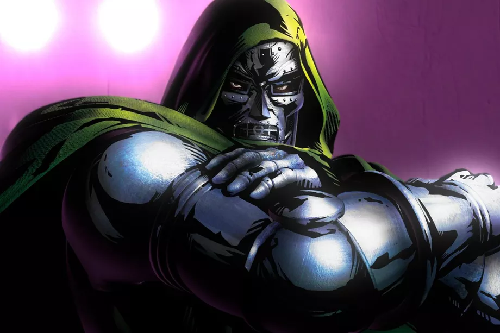 Fans have hoped that Legion showrunner Noah Hawley’s Doctor Doom standalone could be integrated into the Marvel Cinematic Universe after the Russo brothers put in a good word for Hawley, and it seems like Feige is at least entertaining that possibility. The Hollywood Reporter managed to speak with Hawley at South By Southwest, and asked Hawley if he was still working on revisions for his Doctor Doom script, which he had completed last year. Hawley recalls that he was asked by Feige if he was still working on his, to which Hawley asked “Should I still be working on it?” Any detail beyond that was left deliberately vague, but Hawley followed up by stating that he didn’t know anything specific about Feige’s plans from Phase 4 onward. Aside from the completed Dark Phoenix and The New Mutants, the other movies on their slate are not expected to be made, or at best reconfigured into Marvel’s own plans for the setting. Fox’s old cinematic continuities will be discarded in favor of a new one consistent within the Marvel Cinematic Universe, leaving these characters completely open for crossovers with the likes of the Avengers and the Guardians of the Galaxy down the line. However, that doesn’t mean that Doctor Doom is, well, doomed; that Feige asked Hawley about the franchise likely indicates that there’s interest in the project within Marvel Studios. That’s more than can be said for hypothetical sequels to Dark Phoenix and The New Mutants, which represent the end of the line for Fox. The film’s premise positions the titular supervillain as the central character, but not necessarily the one that the audience would follow; that role would go to a female lead without any superpowers. The story is set shortly after Doctor Doom conquers his home nation of Latveria and builds a protective dome around the small nation. From there, Doom would ask a female journalist to help spread his story to the world and explain why the formerly third-world nation of Latveria is no longer a state to be trifled with. The movie was described more as a geopolitical thriller than a standard superhero movie, and it’s likely that the film’s story would include several crucial elements of Doom’s origin story that have been neglected in the other film adaptations. With a screenplay ready, it might be a great time to add this Doctor Doom movie to the slate, especially since the MCU is in need of some iconic villains after Thanos is defeated in Avengers: Endgame. In spite of a melodramatic supervillain name, Doom is a fairly complex character with noble intentions in spite of his megalomania, and he hasn’t truly received his dues in spite of appearing across all four Fantastic Four film adaptations. The movie could also emphasize that Doctor Doom is a sorcerer as much as he is a scientist, and that he does not possess superpowers himself, using his intellect and magical prowess to defeat his enemies. This project could really bring something new and interesting to the table if handled correctly, and it may be the perfect introduction to one of the MCU’s next long-term villains. Doctor Doom is in development at 20th Century Fox. Whether or not it is actually developed into a feature film remains to be seen.